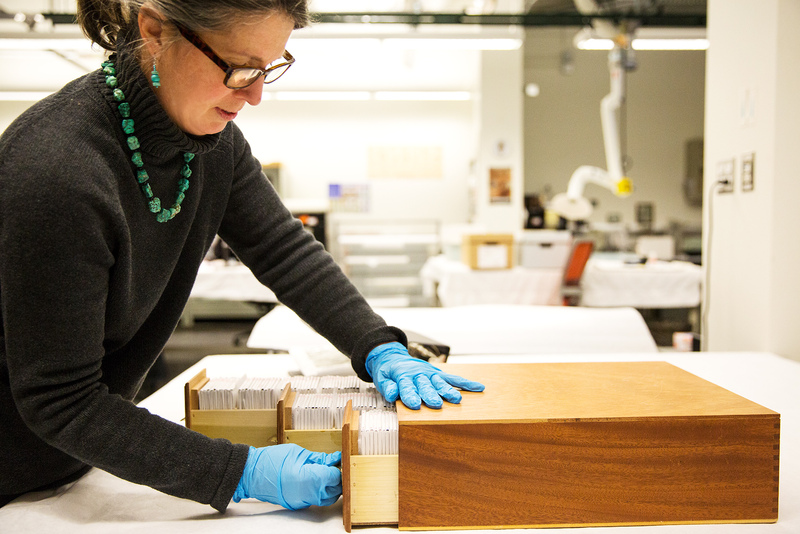 NHMU archaeologist Michelle Knoll holds a lantern slide by Horace S. Poley. Photo © NHMU. For those who have enjoyed the slow but deliberate process of shooting photographs on a 35mm camera, the memories captured on slides hold a certain magic enhanced by the effort required of the method. Shooting on film took patience, both when framing each photo and then processing the film. 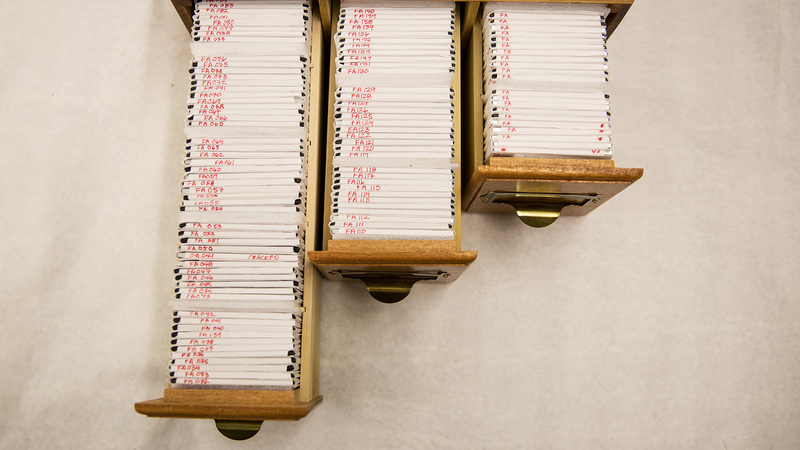 This made the end result—tangible photographs—much more valuable. 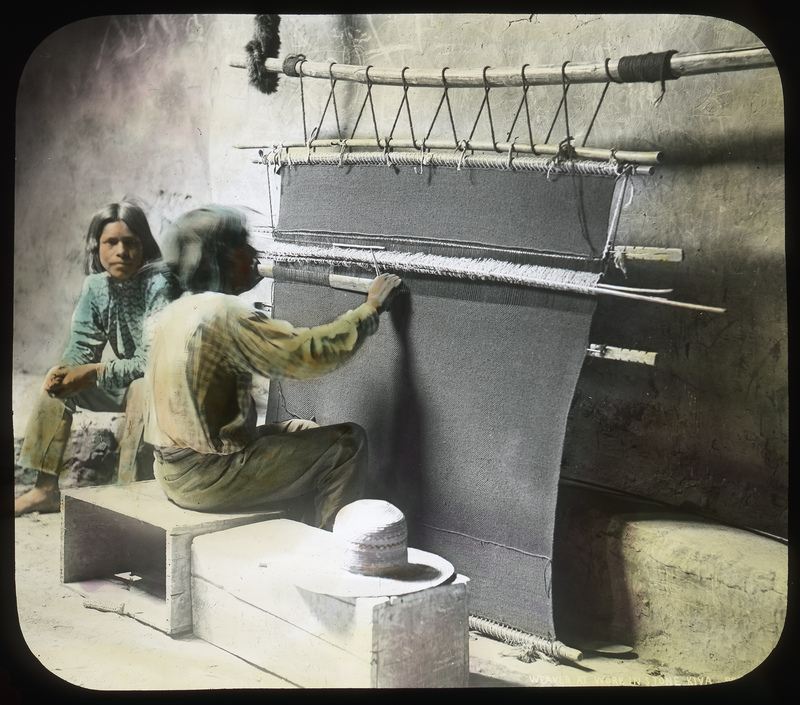 If we take another step back in the history of photography and slow the process even further—before flexible, plastic-based film was available—we'll discover the more magical and remarkably detailed world of lantern slides. The Natural History Museum of Utah is home to a collection of lantern slides by photographer Horace Swartley Poley (1864–1949). Poley moved to Colorado in 1887 where he founded a commercial photo studio in Colorado Springs. 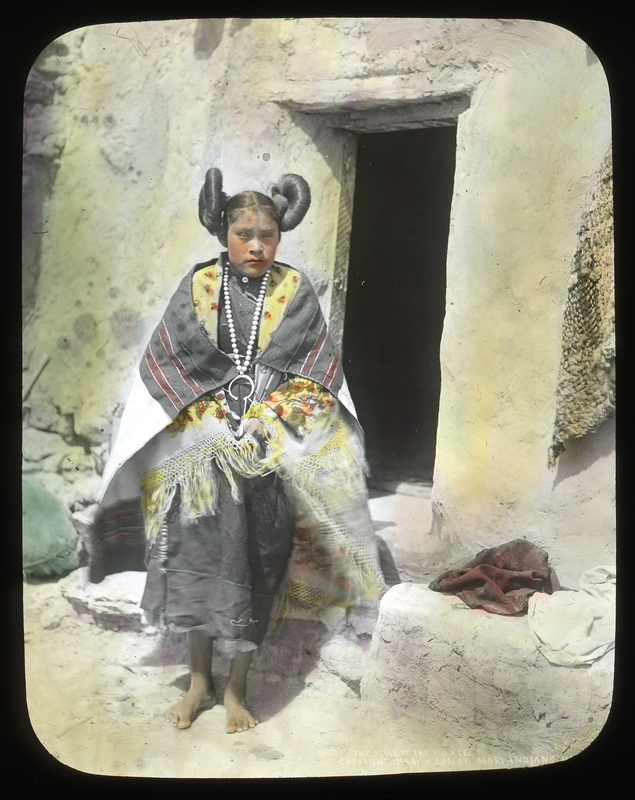 For nearly 50 years, he produced a catalog of photographs from Colorado, Arizona, New Mexico, and Utah, recording landscapes, cityscapes, and Native American tribes of the region—including the Utes, Hopis, and Paiutes. It's these photographs of the native inhabitants of the Southwest that are particularly striking. 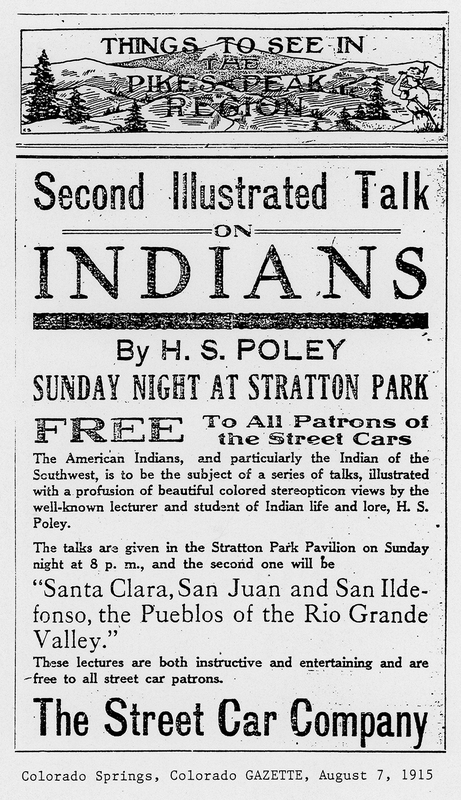 "My acquaintance with these Indians gave me unusual oppertunity [sic] for photographing them,” Poley wrote in a letter to the Denver Public Library dated 1935, when he proposed the sale of his extensive collection. FA171 “Indian woman by oven,” San Juan ca. 1899. No inscription. Photo by Horace Poley. His acquaintance with the Indians is evident in mesmerizing photographs of weathered faces, sacred rituals, daily life in dusty pueblos, and traditional Native American attire. Each recorded moment must have required careful setup by the photographer using antique methods, plus the patience of a willing subject. Captured at the turn of the 20th century, when the impending loss of traditional Indian cultures was anticipated by famed photographers like Edward S. Curtis, Poley’s photographs are now part of an invaluable record of the old American West. 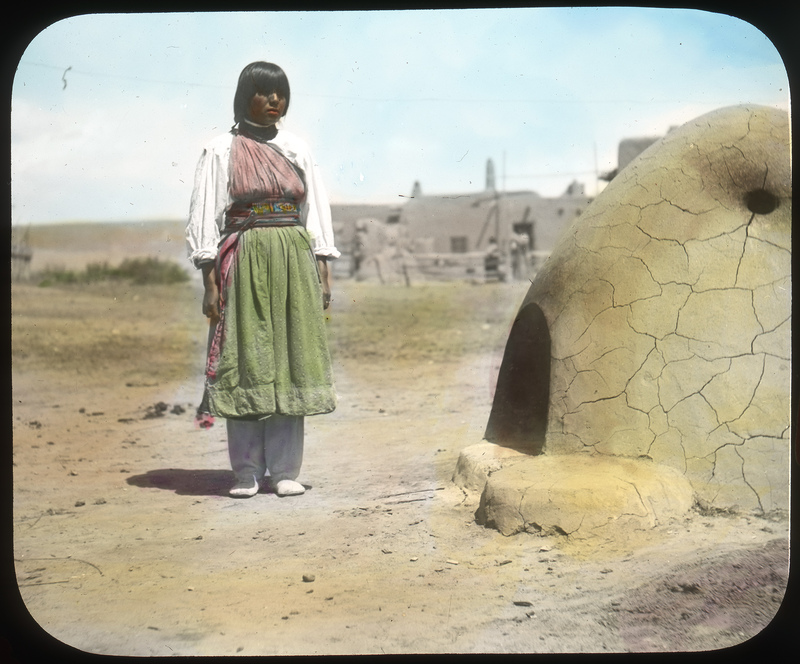 FA41 “Woman standing in front of house,” Walpi Pueblo 1899. Inscription says “The belle of the village." Photo by Horace Poley. And, the format in which these enchanting images are recorded only adds to their magic. 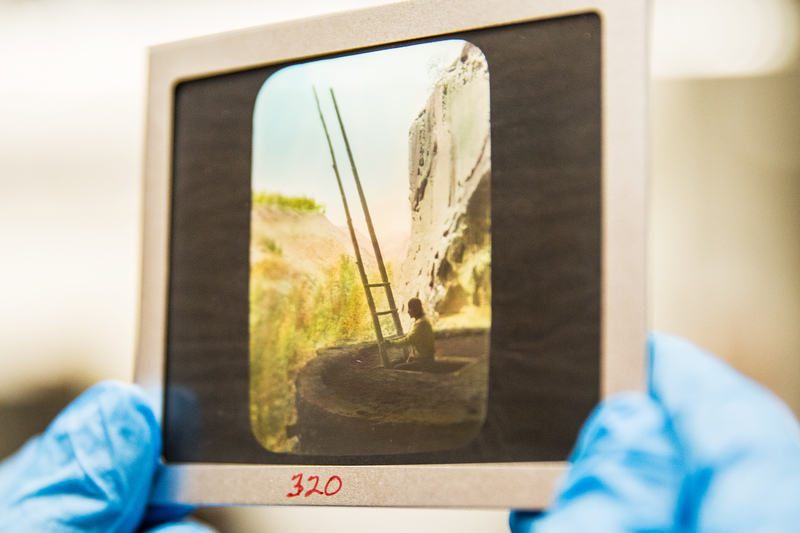 Measuring at 3.25 x 4 inches, lantern slides are larger than most medium formats of film. Each slide features a black and white, positive image printed onto a delicate sheet of glass that was then painstakingly hand painted. The transparency was sandwiched between another sheet of glass and taped together before being displayed using a magic lantern projector. Poley often presented his work in magic lantern shows at lectures that were popular with the public. FA43 “Man at rug loom (in kiva? See slot 15), Hopi ca. 1899. Inscription says “Weaver at work in stone kiva, primitive loom. Copyright 1899 by H.S. Poley. Moki Indians.” Photo by Horace Poley. FA166 San Juan ca. 1899. No inscription. Photo by Horace Poley. The Poley collection housed at NHMU is a duplicate of that at the Denver Public Library, to which Poley sold his catalog in 1936. The collection in Denver is the most extensive of Poley's work featuring more than 2,000 photographs with matching negatives on glass, nitrate negatives, and safety film. Copies of the collection are also at the Smithsonian, Yale, and the University of Colorado in Boulder. 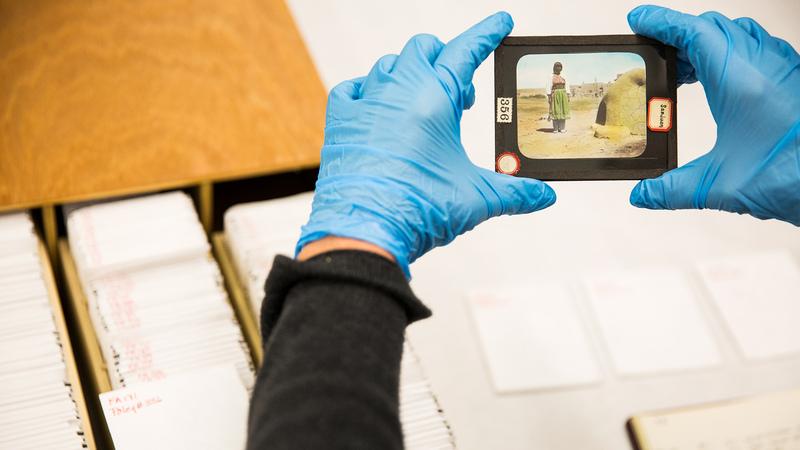 Due to the delicacy and sensitivity of the glass slides, only a few have been digitized at NHMU. 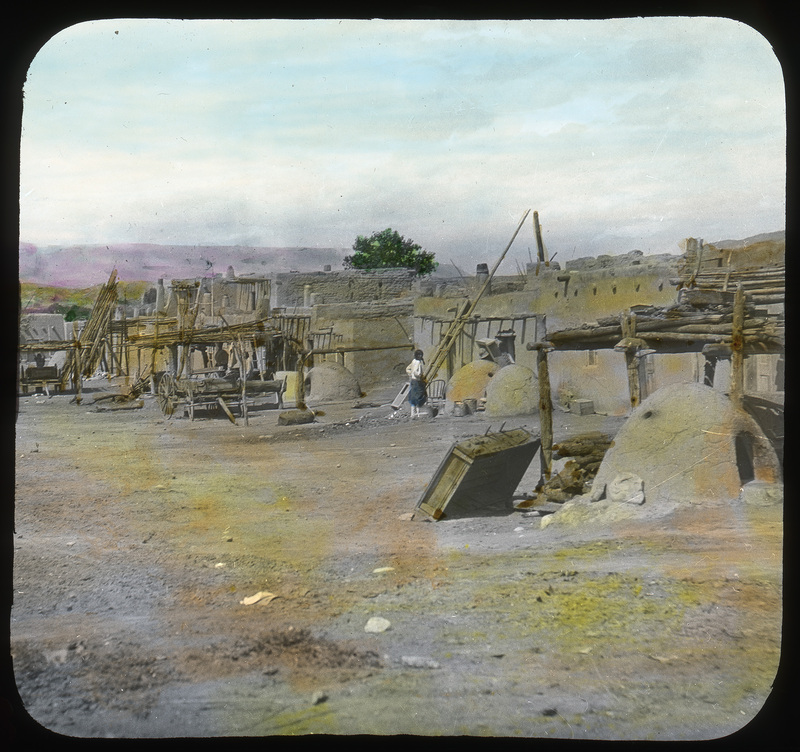 More images from the collection can be viewed on the Denver Public Library’s website. In addition to his photo studio, Poley also worked as head of the U.S. Postal registry department in Colorado Springs and was a vestryman of the Grace Episcopal Church for more than 60 years. He died June 7, 1949 at the age of 85 at his home in Manitou Springs, survived by his wife, six children, 12 grandchildren, and 21 great grandchildren. Read about another historic collection of photographs by Stuart Malcom Young. Mark Johnston is a photographer and the digital marketing coordinator at the Natural History Museum of Utah, a part of the University of Utah in Salt Lake City. Our mission is to illuminate the natural world and the place of humans within it. In addition to housing outstanding exhibits for the public, NHMU is a research museum. Learn more.